Dataman understand the importance of keeping turnaround times to a minimum and can therefore offer express delivery options once the devices are ready to be returned. These include a range of next day delivery options as well as same-day delivery in England. Also available are a variety of cost effective shipping options for outside the UK via DHL, FedEx, TNT and UPS. 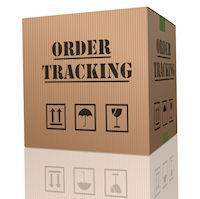 Once shipments have are despatched tracking numbers are provided to assist with tracing the shipment whilst in transit.